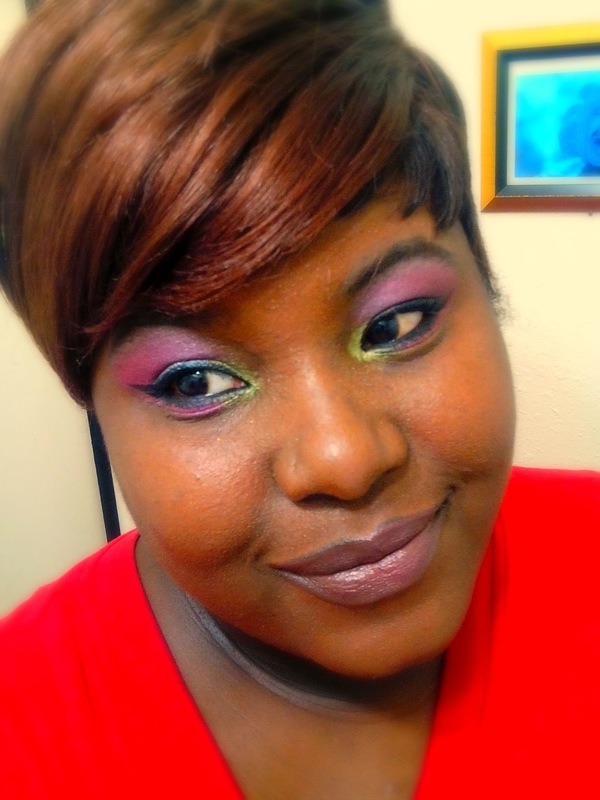 Good morning everyone who's reading my post as I've said in a previous post that I was invited to my aunts luau, so here are some photos of me with an eyeshadow look I want to wear at the party. 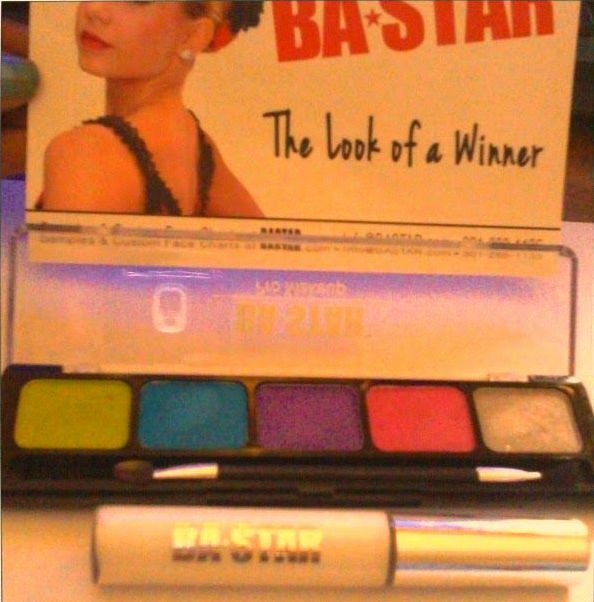 As you see in the photos I've added colors such as lime green in the corners of my eyes using my Ba*Star eyeshadow palette, white and pink. These are colors for a Hawaiian scene, my digital camera is low on battery life so I used my cell phone which the quality in this first image isn't so great. The shades are so cute and lively like a tropical, punch drink and enhance this look more I've added Black liquid eyeliner for winged look in the corner of my eyes and mascara. I should have done a bit more blending, but It still looks good, this look would look better in Black hair or red instead of my Brown wig I'm wearing. Maybe wearing my hair in braids would make this look even better lol! 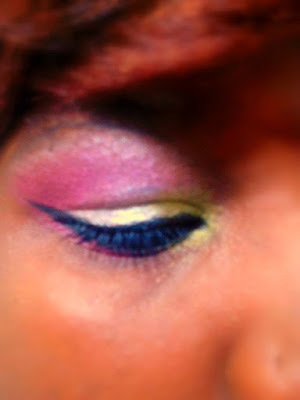 And as a lipstick I used Pink eyeshadow with chapstick to match the eyes. 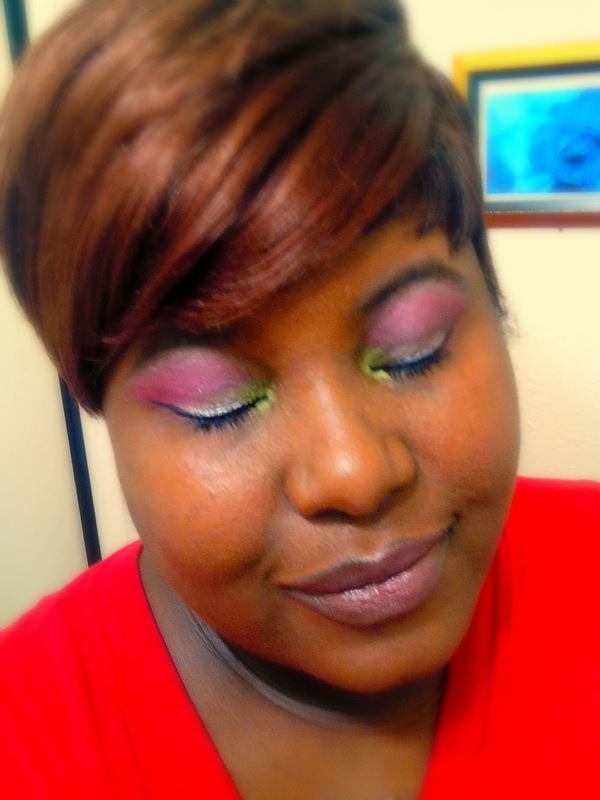 So there you go a nice Tropical, eyeshadow, inspiration look for the Hawaiian party scene.